Full-size SUVs are ideal targets for car theft. Most thieves will chop a car. The large tires on SUVs can be especially valuable, and SUVs have the potential to carry a ton of valuables, so even if the thief isn’t a pro, it could seem like a good target. Engineers for Chevrolet have gone to great lengths to deter those thieves and prevent vehicle theft of the all-new 2015 Chevy Tahoe. The 2015 Chevy Tahoe technology boasts several new standard features to thwart criminals, including a steering column lock that deters push- and tow-away theft, more robust door lock cylinders and shields to render slim jims and other tools useless, and side cut keys to prevent picking the locks. Chevy also offers a Theft Protection Package in the upper trims of the 2015 Tahoe, which features glass breakage and inclination/tilt sensors. These technologies cause an alarm to sound if the vehicle is lifted off the ground or broken into. 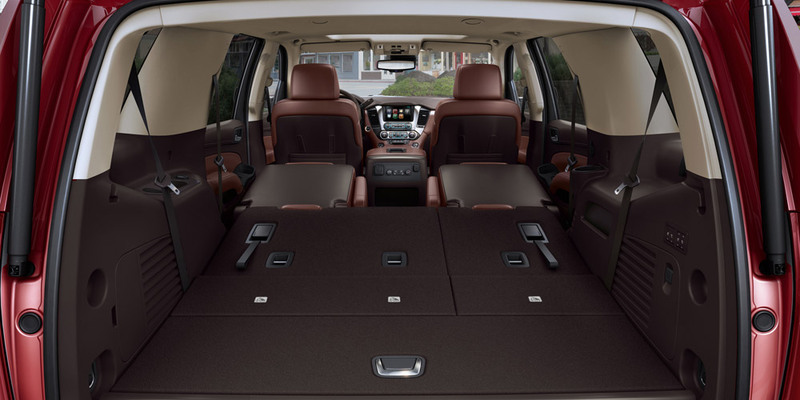 Can you think of a time when you wish you had the anti-theft features in the 2015 Chevy Tahoe in your vehicle? Share your story in the comments below! James Martin Chevrolet has a large selection of new Chevy cars, trucks, and SUVs at our Chevrolet dealership in Detroit, MI. Find the latest models of the Chevy Cruze, Malibu, Impala, Volt, Silverado and more. We also have a great selection used Chevy cars, including Certified Pre-Owned.